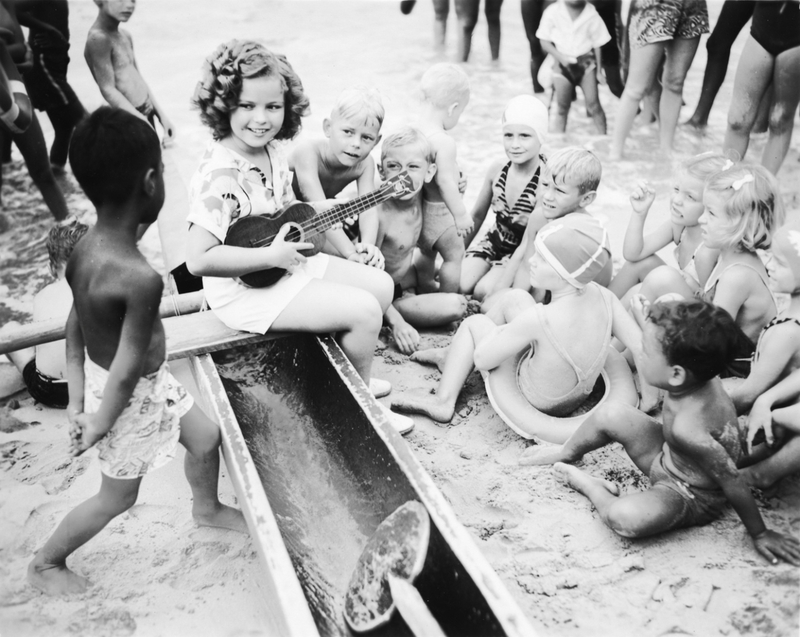 In the late 1920s, most visitors to Waikiki beachside hotels wore only one socially acceptable daytime color—white. The fashion was white duck or linen suits for men, dresses for women. Tourists at the big hotels could have a suit cleaned for a mere fifteen cents. In the early 1930’s, imported Chinese pongee replaced the conventional daytime whites. The pongee, a handwoven, crude-textured lightweight tan silk, was fashioned into suits and dresses by tailors in Honolulu. These plain-colored pongee garments were practical and popular and were taken back to the mainland United States. The Japanese and Chinese home sewers, tailors, dressmakers, and dry-goods merchants had established a tradition of using their Asian fabrics in island clothing by importing fine fabrics such as Japanese printed silk and cotton yukata, a summer kimono material, from relatives back home. As of 1922, Hawai‘i’s clothing factories mostly produced plantation uniforms. Then, as Hawai‘i began to change from an agricultural to a service-oriented economy, the emphasis of the island clothing industry shifted from the production of work clothes to sports- and casualwear. 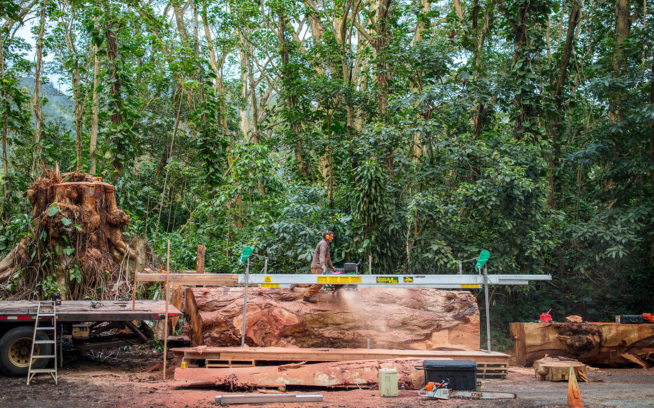 There are many stories about the “who” and the “how” of the creation of the first aloha shirt. 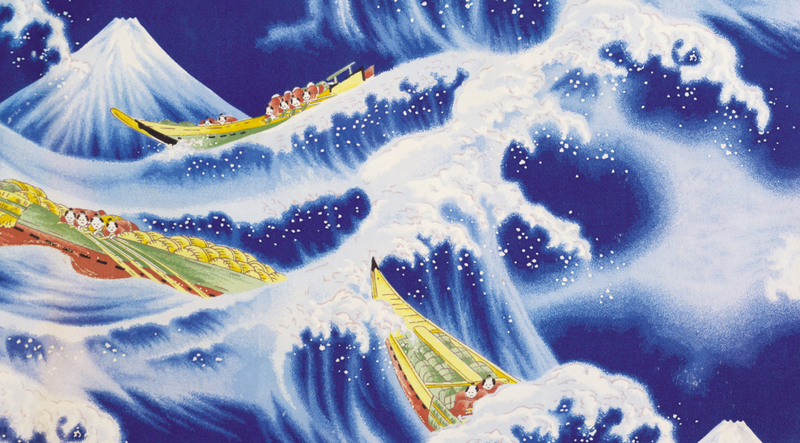 In a 1966 magazine article, journalist and textile designer Hope Dennis observed, “About thirty-five years ago an astute Hawaiian garment manufacturer (who shall remain nameless to avoid renewing a thirty-five-year old argument) designed the first aloha shirt,” launching what was to become the Golden Age of aloha shirts—the 1930s through the 1950s. Ellery Chun, who later became involved in the garment industry, also had early memories of students wearing colorful shirts. His Punahou School classmates were fond of wearing flowery print shirts in the late 1920s. In a Honolulu newspaper article, local residents Bob Lowry and his wife, Sally, recalled how in the late ’20s their classmate James P. Kneubuhl from Samoa showed up at Madame Lester’s School of Ballroom Dancing in Honolulu wearing a printed shirt with a striking tapa-cloth design. The shirt’s material, from the store run by Kneubuhl’s parents in Pago Pago, inspired Madame Lester to have a bolt of similar cloth sent to Honolulu. 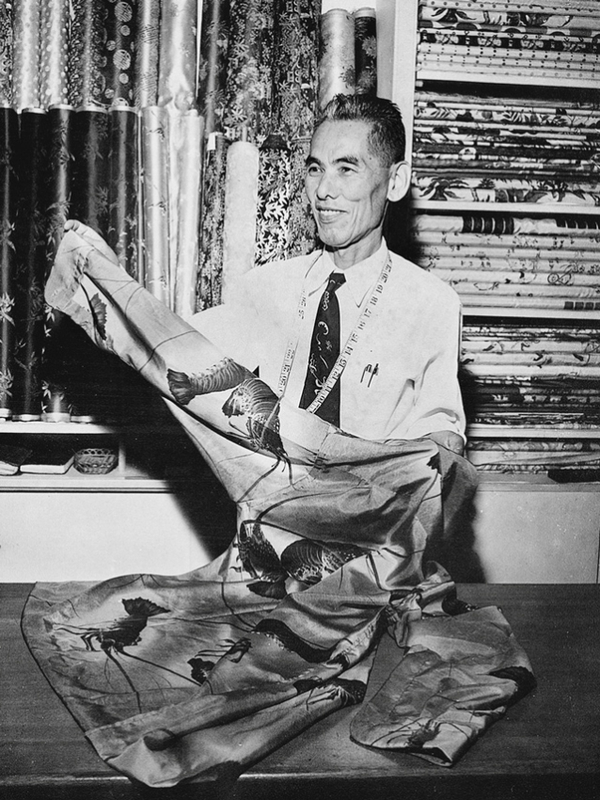 Hawaiian merchant Koichiro Miyamoto, ‘Musa-Shiya the Shirtmaker,’ made shirts from the fabric for the other dance students. Eventually, shirts and undershorts made from the same tapa-influenced material became popular with high school students. Dolores Miyamoto, wife and working partner of Koichiro Miyamoto, also recalled that in the early ’30s famed Hollywood actor John Barrymore came into the store and ordered a colorful shirt made of kimono fabric. Ruth Hirata, then a young Honoka‘a tailor on the Big Island of Hawai‘i, remembers making colorful flowered shirts for Tony and Charles Labrador, who were with Alfred’s Dance Band in Honoka‘a, during the early ’30s. There are school kids, Waikiki beachboys, tailors, and vacationing movie stars, each of whom has a convincing tale regarding the creation of the aloha shirt. In matching the young islanders’ love for colorful clothing with the tourists’ desire to bring home keepsakes of the carefree islands, Hawai‘i’s clothing styles were forever changing. The shirts were first made commercially by Honolulu merchants in tailor shops downtown. Ellery Chun’s family dry-goods store, King-Smith, was conveniently located next door to a tailor shop where visitors went to order custom shirts. In 1932 or 1933 (two different dates are provided in newspaper articles), Mr. Chun decided to manufacture some warm-weather shirts to keep in stock so customers would not have to wait for them. 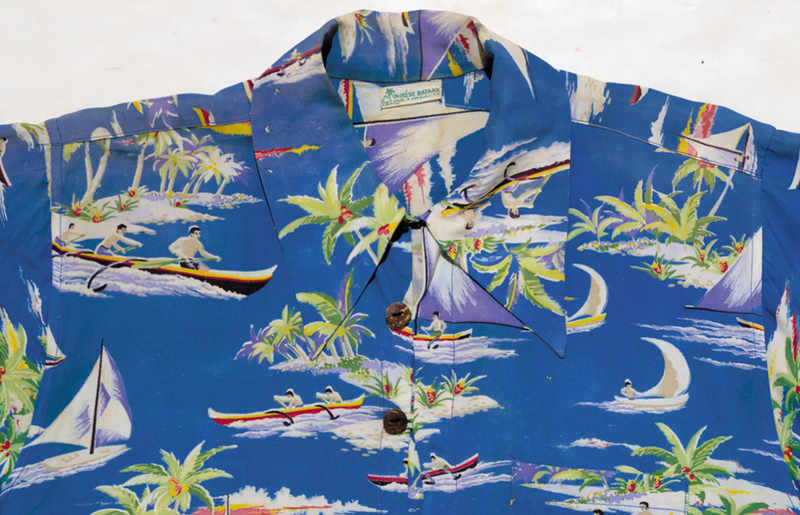 In 1932, Surfriders Sportswear Manufacturing, owned by Ti How Ho, reportedly made and sold its first “Hawaiian” shirts. On April 17, 1935, Pan American World Airways flew its first massive China Clipper from the West Coast of the United States to Honolulu. An eighteen-hour plane ride provided a comfortable alternative to the six-day ocean passage from the mainland and made Hawai‘i much more accessible. 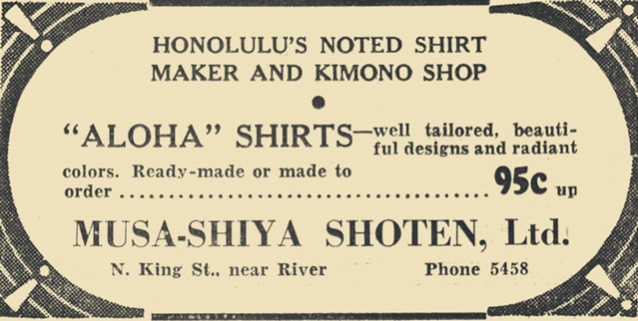 On June 28, 1935, Musa-Shiya Shoten, Ltd., took out an advertisement in the Honolulu Advertiser: “Honolulu’s Noted Shirt Maker and Kimono Shop. ‘Aloha’ shirts—well tailored, beautiful designs and radiant colors. Ready-made or made to order…95 cents and up.” Aimed directly at the tourist market, this was probably the first appearance of the phrase “aloha shirt” in print. “In 1936, Chun decided to give his distinctive style a more exotic name—‘Aloha Shirt’—and he registered this as a trademark. He advertised it locally with persistence, the shirts caught on and so did the name, and that was the beginning of a popular trend that gave impetus to Hawai‘i’s fashion industry,” noted the Atlanta Journal. The most colorful and complete book ever published on the most enduring souvenir ever invented: the Hawaiian shirt. 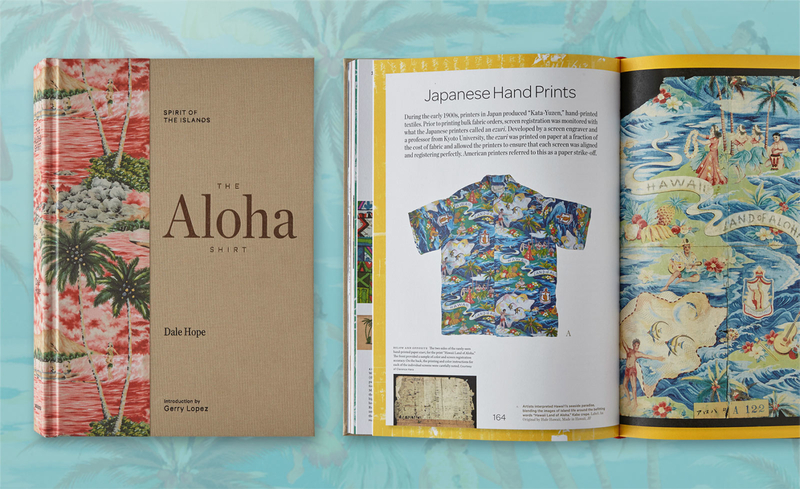 Beautifully illustrated with hundreds of images, The Aloha Shirt recounts the colorful stories behind these marvelous shirts: as cultural icons, evocative of the mystery and the allure of the islands, capturing the vibe of the watermen culture and lifestyle—casual, relaxed, and fun. 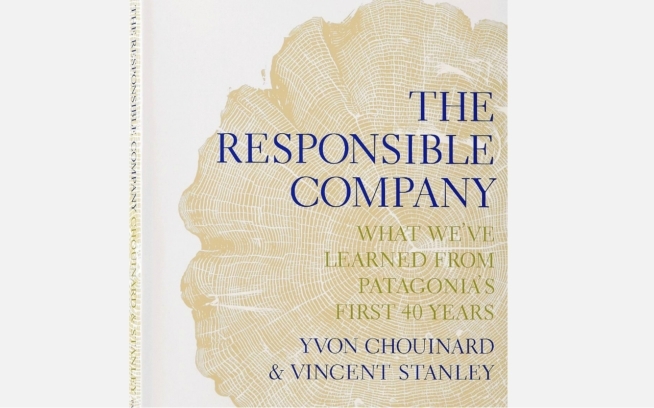 Get your copy at patagonia.com. 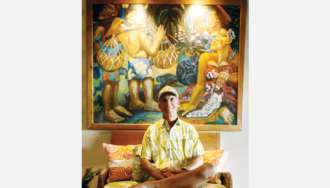 Dale Hope was born in Honolulu and has spent his life in and around Hawai‘i’s garment industry. He inherited his parent’s clothing business when he was in his twenties; in 1986 he purchased the legendary Kahala label and led the company back into prominence. 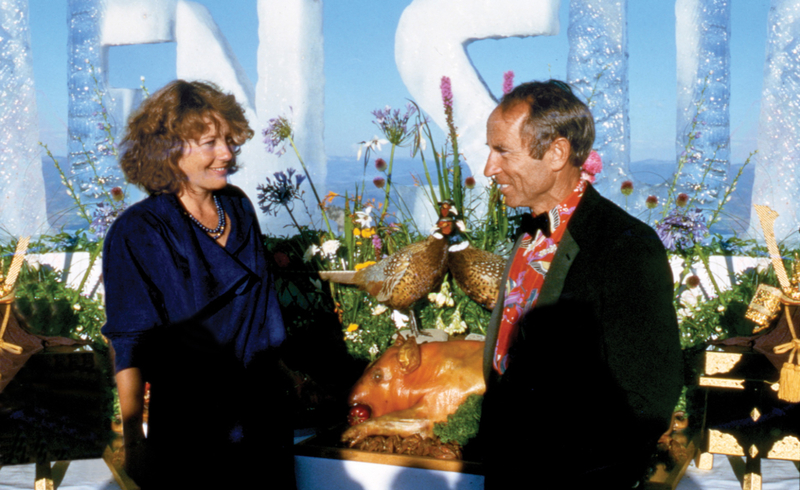 Widely recognized as an authority on aloha shirts, he received the first Governor’s Cup for “Hawai‘i Apparel Manufacturer of the Year” in 1987. Dale is an avid surfer and paddler.